Basically I pre-toasted english muffins, then did different combos of assembly. For the brussels sprouts one, I did a layer of béchamel sauce, then I fried up the white beans, apple vegan sausage, and brussels sprouts in a small amount of oil. I topped the béchamel with that, and then gouda. For the mexican one I either did a layer of refried beans first, then marinara, then the various other toppings, then daiya cheese. The whole thing was then broiled on high for 5-6 minutes. So freaking good, and you can store the leftover toppings to make later ones or just use as a dip. 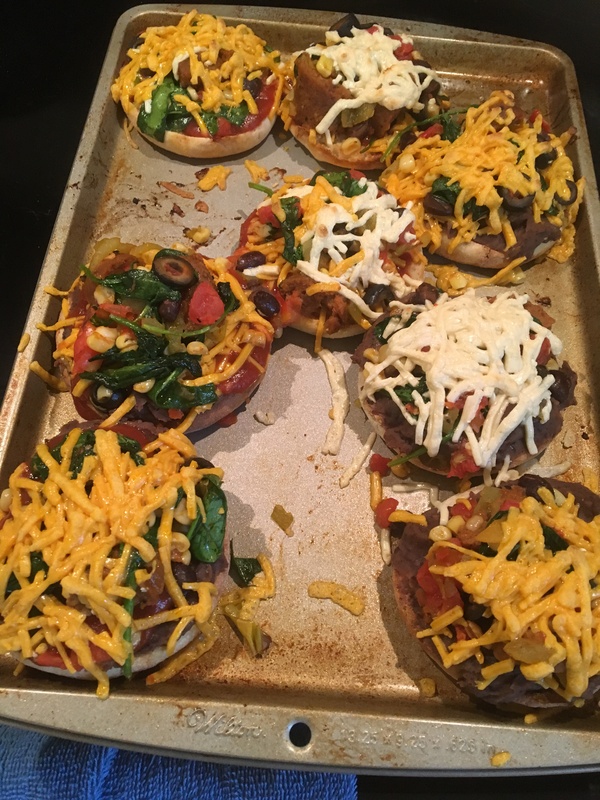 And one english muffin makes two mini pizzas! I could eat them all day!